In this Sekiro: Shadows Die Twice Stealth Guide we’re going to be taking a look at how to play the game in the stealthiest manner possible. We’ll cover things that might not be widely known, as well as give you tips about Stealth Deathblows, and how to generally improve your Stealth. 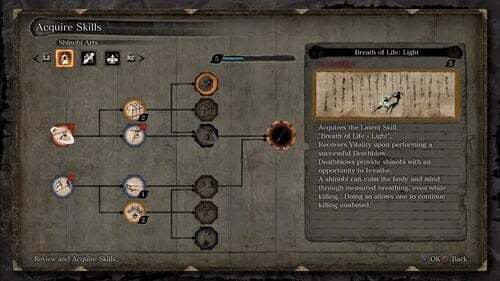 To begin this guide we’ll take a look at the basics of how Stealth works in Sekiro, in order to make sure we cover absolutely everything that you might be confused or have questions about. Let’s jump into that now, and see just how Stealth works. Shinobi’s kill silently, without a sound. 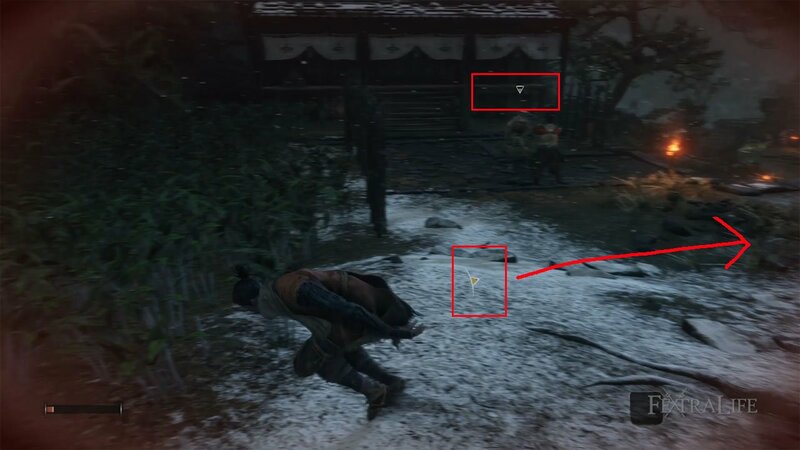 There are two ways in which you can be detected in Sekiro: Shadows Die Twice and that is via “Sight” and “Sound”. Of the two, Sight is the more important, because an enemy will of course see you if your standing right in front of him, but he may not hear you if you are right next to him and he can’t see you. Always prioritize Sight over Sound. Crouching helps reduce the noise you make, and the amount that you are visible to enemies, and you can do this by pressing the left stick on the controller. However, it doesn’t guarantee that you will not be detected, so you will still need to play smartly. Note that if you jump or use your Grappling Hook, you will not land crouched, but will need to click the stick once again. When an enemy “detects” your presence to a lesser extent, they will have an empty white triangle above their head, and it will slowly start to change to yellow if they continue to detect you. This usually occurs when you have made a noise somewhat near them, like from performing a Deathblow on an enemy. You must move away from the enemy without being seen, carefully, to prevent their triangle from becoming solid yellow. These indicators show you who is trying to detect you. Once the triangle is fully yellow, the enemy will be aware that “something is up” and will generally proceed towards your location. At this point you can still use Stealth Deathblows, but it will be much harder to approach the target without being noticed. Wall Hug Deathblows work well in these scenarios, as they allow you to remain hidden while still getting the kill. You can even use this knowledge against your foes, by throwing a Ceramic Shard to get the attention of one enemy, luring them away from their group. You can “lose” enemies that have a yellow triangle, if you remain hidden long enough out of their detection radius, similar to Assassin’s Creed. However, should they spot you this triangle will turn red, and they will then attack you or even call for aid. It is always best to kill enemies with red triangles first, as there is a chance other enemies that are yellow will not becoming hostile if you are quick about it. Backstab Deathblow – This Deathblow can be performed by sneaking near an unaware enemy, and attacking them from behind. Ledge Hang Deathblow – A Ledge Hang Deathblow is a type of Stealth Deathblow that can be performed on unaware enemies. While hanging from a cliff or ledge, shimmying just below the unaware enemy will make them vulnerable to this Deathblow. Plunging Deathblow – Performed when leaping at an unaware enemy from high ground. Wall Hug Deathblow – A Wall Hug Deathblow is a type of Deathblow that can be performed on unaware enemies. While undetected and hugging a wall, lie in wait for a passing enemy. When the enemy draws close enough, he will be vulnerable to this Deathblow. You can pull off Backstab Deathblows running at full speed. If you are finding, despite the above information that you are still having a hard time performing Stealth Deathblows without being seen, do not worry. 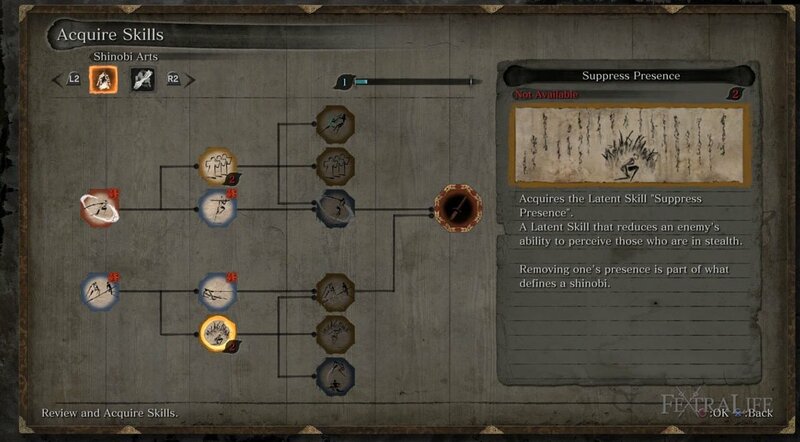 You can improve your Stealth ability by purchasing a few select Skills from the Shinobi Arts Skill Tree. Suppress Presence and Suppress Sound both make you harder to detect, and you can get them fairly quickly in the game. Suppress Presence makes you harder to see, and Suppress Sound makes you harder to hear. These will assist you in your stealthy approach to the game, and will make this style of gameplay much easier. In addition, the Run and Slide skill will automatically put you into the crouched position after you sprint. This will allow you to move quickly and get into back into Stealth fast. Use this when your next target is far away, and you need to close ground rapidly. 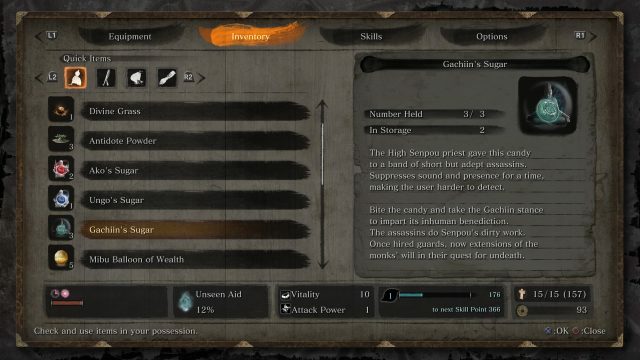 2 very useful Items for a stealthy approach to the game are Gachiin’s Sugar and Fistful of Ash. Gachiin’s Sugar makes you even harder to detect, allowing you to Stealth completely through enemies, or pick off enemies even easier. It lasts longer than you’d think, so use it before an area with many enemies. Fistful of Ash will distract enemies that are hostile to you, allowing you to Stealth Deathblow them in some cases, or run away and hide. This item is a great way to finish a hostile enemy quickly, to get back into Stealth ASAP. Gachiin’s Sugar will make you even harder to detect, so use it when you need to be extra sneaky! Using the Nightjar Monocular is a great way to scope out enemy positions before you begin your killing spree. Often enemies are hidden in corners, and this item can prevent the mistake of not seeing an enemy, and being detected because of it. The Shinobi Arts Skill: Breath of Life: Light will return Vitality to you when you perform a Deathblow. This can be a great way to heal yourself, if you’ve made a mistake, or after you’ve taken some damage. Consider taking this one early on, to help spare your Healing Gourds for Bosses and Mini-Bosses. 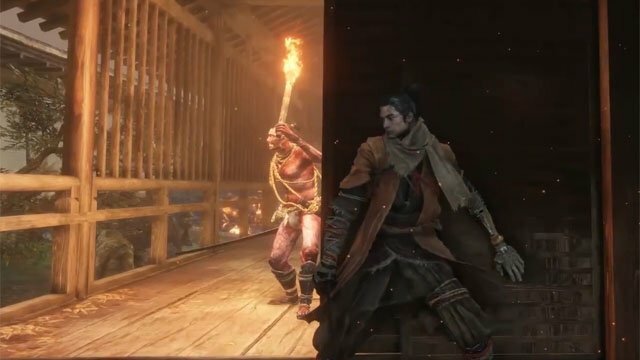 A large part of playing stealthy in Sekiro is learning enemy placements and behaviors. This comes with time, so try not to get frustrated with any early failures you might have, as some are to be expected. Knowing which enemies to kill in what order is not always clear, but you’ll gain a better understanding of it as the game goes on. Lastly, Eavesdropping enemies is one benefit of this playstyle, and you will often gain valuable information from doing so. Be sure to pay attention to what is said, and use the tips and advice to better prepare for what lies ahead. What might take some players hours, could take you minutes if you do. Stay tuned for more Sekiro coverage as we cover Beginner Basics, as well as Builds. Check out the Sekiro Wiki for your specific questions, and drop by our Twitch if you get a moment and let us know how you are liking the game!